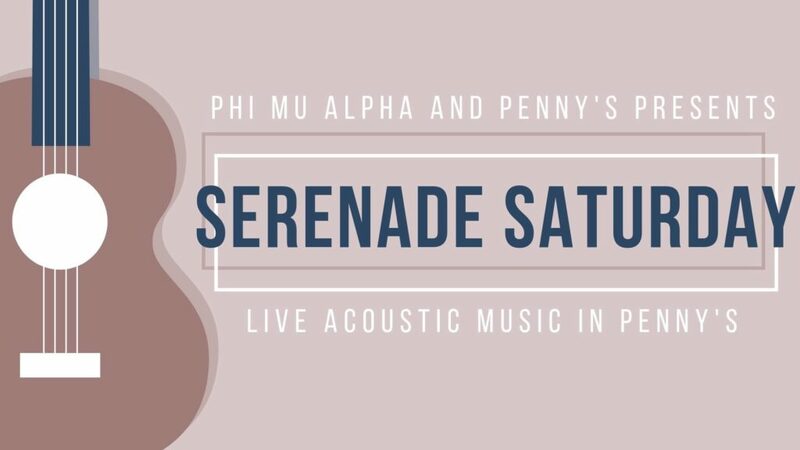 Phi Mu Alpha will host an afternoon of music Sat­urday in Penny’s. Penny’s, located in the New Dorm, will host four hours of acoustic live sets from 1 p.m. to 5 p.m. This is the first of what junior and member of Phi Mu Alpha Asa Hoffman said he hopes will become a bimonthly occur­rence. Hoffman said he wanted to put on events like this after par­tic­i­pating in the “Koon-certs” that began last year and have since become a campus fixture on the first Friday of the month. “We’re trying to do Ser­enade Sat­urdays at least biweekly because it’s so easy to set up and bring more people to Penny’s,” Hoffman said. 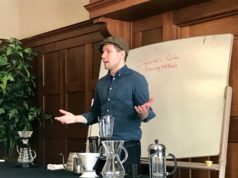 Penny’s Manager Emily Barnum ‘18 said she became acquainted Hoffman from his regular orders of pour-over coffee. To both Hoffman and to Barnum, the part­nership is a win-win. 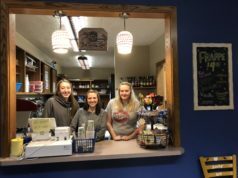 Penny’s is able to draw more stu­dents into the café and provide a central meeting place for campus, one of their mis­sions. Since opening for business this semester, it has worked to provide that sort of space so far this semester. It fea­tures student artwork on the walls and has hosted numerous campus events. 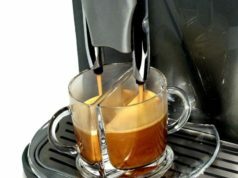 Ser­enade Sat­urday is a way to further this goal. Cre­ative Manager of Penny’s Car­oline Hen­nekes also said she saw Ser­enade Sat­urday as a way to further the vision of Penny’s as a campus meeting space. “What I love about planning this event is that it has pulled musical talent from all across campus and off-campus, giving oppor­tu­nities both for encour­aging musical talents and also to foster com­munity in Penny’s,” she said.